SEOUL, South Korea, Oct. 22, 2015 -- During the Seoul International Aerospace and Defense Exhibition, Northrop Grumman Corporation (NYSE:NOC) and its supplier partners celebrated the first component parts manufactured in the Republic of Korea for the country's RQ-4 Global Hawk unmanned aircraft system (UAS). Global Hawk provides valuable wide-area intelligence gathering capabilities to military commanders. Firstec and Korea Jig and Fixtures (KJF) each displayed parts in production for the four Global Hawk UAS purchased by the Republic of Korea. Firstec manufactures wire harnesses and KJF makes build-to-print aerospace grade precision machine parts for the Global Hawk. 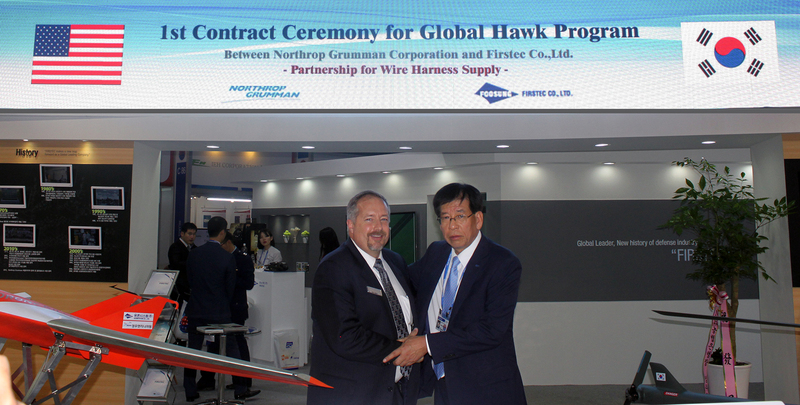 Northrop Grumman signed a memorandum of understanding with Firstec and KJF in 2013 to support the Global Hawk. Manufacturing of the first Korean Global Hawk aircraft is currently underway at Northrop Grumman's Moss Point, Mississippi, facility. 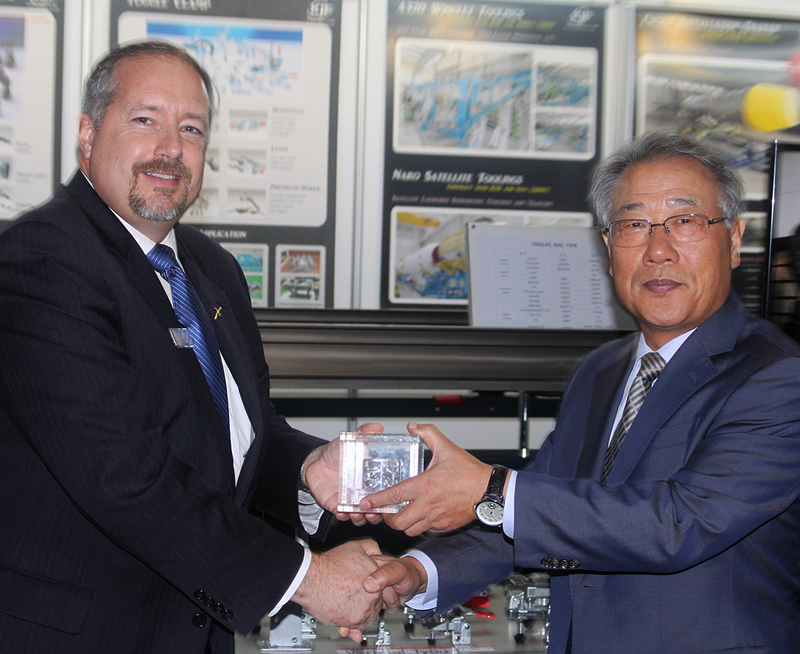 Final aircraft production will take place in Palmdale, California. "Northrop Grumman is focused on providing superior and affordable technology and expertise to the Republic of Korea," said Mick Jaggers, vice president and program manager, Global Hawk, Northrop Grumman Aerospace Systems. 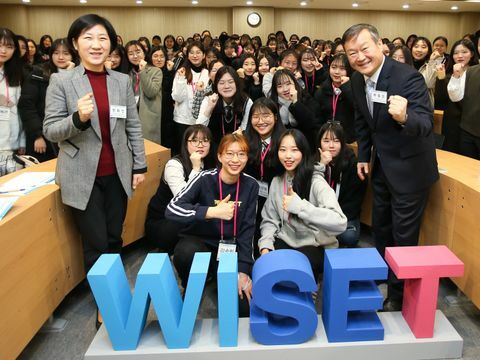 "We seek to strengthen and develop the future economy of Korea by leveraging local industrial talent and resources in ways that build a more capable, competitive supply chain." The Republic of Korea is a key U.S. partner in ensuring peace and stability in the East Asia region. The Northrop Grumman Global Hawk, which can fly for more than 30 hours at altitudes up to 60,000 feet, is ideally suited to monitor and deter regional threats in support of Korea's defense forces.